Whether you need a rental filled or a place to live, we can help. We do so much more than rent your property! 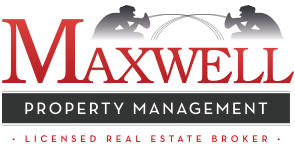 Maxwell Property Management, LLC relieves income-property owners in the area of everyday management and leasing duties, and do so with great care and finesse. Meanwhile, tenants in the region count on our team to find them the absolute best rental properties around and to provide involved and compassionate landlord services. The Maxwell approach is to focus on the individual needs of all our clients and customers. We tailor our property management strategies based on the desires of our owners, and we work alongside tenants to make sure they’re linked with the home that does everything for them. Purchase and Sale of Properties. As a full service real estate broker we can also buy and sell properties for you. We fill vacancies sooner. We quickly advertise vacancies online posting to our website and many other listings. Get maximum revenue by pricing your rental right for our region. Our local market analyses will ensure your rental is priced right for maximum revenue. Screen for the best residents. We screen to ensure your tenants are credit worthy and have a good credit rating and credit history. Streamlined, built in resident screening includes standard background and credit checks along with past rent payment history. Screens can be completed in minutes – enabling us to place the highest quality residents quickly. You will be paid faster and more securely. We can deposit funds directly into your bank account or mail you a check. Collect rent faster with online payment options. Your tenants can pay three ways with cash or electronically with an e-check or credit card. 24 hour emergency services – we handle your property maintenance issues faster. Electronic work orders and communication with vendors allows us to quickly resolve issues. At your request we can email you a copy of the work order and relevant information giving you real time updates on your Saratoga based investment property.